Thank you for your interest in working for Clackamas County Children’s Commission! 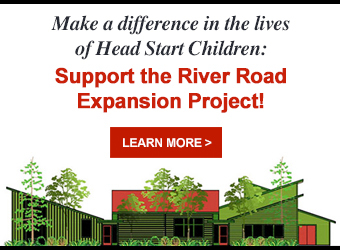 CCCC is a non-profit organization including Head Start, Early Head Start, and Healthy Families of Clackamas County. Employees at CCCC enjoy a positive and supportive work environment where staff are making a difference in the lives of children and families every day! We offer a competitive salary and an excellent year-round benefits package to all regular, full-time staff (who work 20 or more hours per week). This includes FREE employee, spouse/domestic partner, and child life insurance benefits plus agency-paid short term disability coverage! At CCCC we look for flexible individuals with a passion for early childhood education/early intervention, social services/non-profit work, and a desire to support the growth of healthy children and families. Please check out our open positions. We give preference to qualified current and former Head Start or Early Head Start parents. We look forward to hearing from you! Clackamas County Children’s Commission is proud to be an equal opportunity employer.